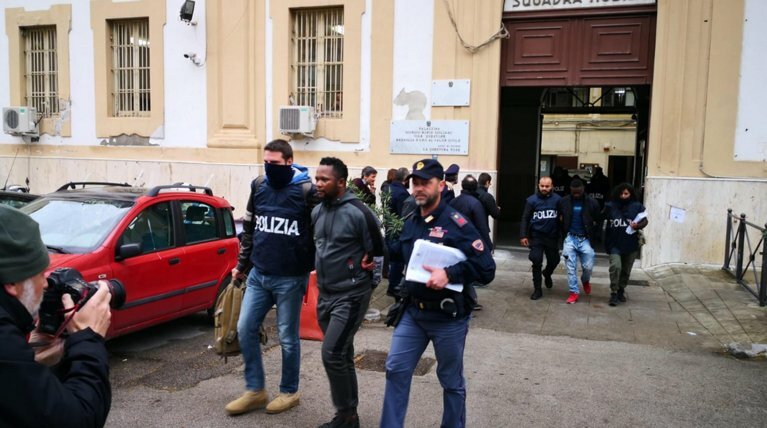 Italian police coordinated by DDA anti-mafia investigators in Palermo on Friday arrested 13 suspects as part of the so-called ''No Fly Zone'' operation against an alleged Nigerian mafia gang dubbed ''Eiye'' that operated across Italy. The suspects, who are Nigerian nationals, are accused of being members of a human trafficking and prostitution ring. According to investigative sources, two co-operating witnesses in Palermo played a key part in the probe. The investigation started after a young Nigerian woman, a human trafficking victim herself, who had been forced into prostitution, went to the police. Investigators explained that her denunciation of those who exploited her, who were part of the EIYE organization, helped them begin the investigation. First police raided the brothel where the woman worked in the central but relatively poor district of Ballarò in downtown Palermo. This discovery prompted a nation-wide investigation and the identification of the gang's leaders. The gang, which was based in Palermo's Ballarò's district but operated nationwide, trafficked in drugs and prostitution, police said. Aspiring members of the organization had to go through initiation rites, one of which was recorded by a hidden camera placed by investigators in Palermo. The gang also operated in Naples, Turin, Cagliari, Catania, Caltanissetta and in the area of Treviso. In the initiation rite recorded by police, the aspiring member was forced to strip naked and lie on the floor while others punched and kicked him, sliced him with a razor and forced him to drink a mix of his tears, alcohol and tapioca. Only a few members were allowed to take part in the rite, which are governed by rigid protocols, investigators explained. The rite was meant to test the aspiring member's intention and loyalty towards the gang, which has strict rules and punishes transgressors harshly. Affiliated members paid money to the clan, which was also used to pay for their legal expenses, the sources said.